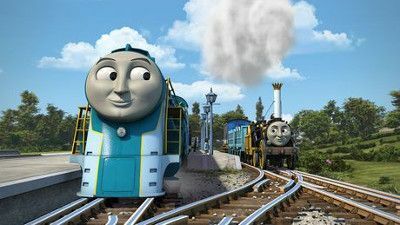 The show is about a tank engine, Thomas, and his friends who live on the Island of Sodor. Together, the engines work on the railways under the supervision of Sir Topham Hatt, the "Fat Controller." Thomas The Tank Engine actually dates back to 1945, when the Reverend Wilbert Vere Awdry created The Railway Series to amuse his son Christopher, who was suffering from measles. His wife Margaret encouraged him to publish the stories and he did so, going on to add another book each year (except 1947 and 1971) until 1972. Wilbert's son Christopher later continued The Railway Series up to 40 books. In 1984 Britt Allcroft decided to turn the stories into a TV series with Ringo Starr as the narrator. He was replaced by Michael Angelis in 1991, who still narrates today. Diesel is not a very helpful engine and, during the Christmas season, Thomas is determined to show him the errors of his ways. 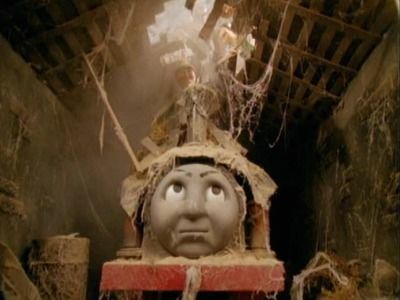 Over several days, Diesel is visited by 'ghostly engines.' They remind him of his past mistakes and show him the importance of helping others. 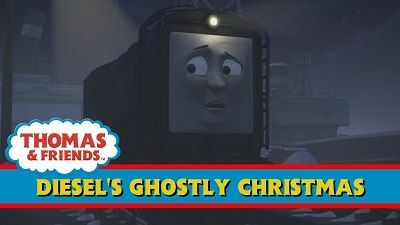 When Diesel becomes derailed and fears the worst, he finally acknowledges the ghosts' Christmas message. Based on the story of the same name from Small Railway Engines. Some visitors come to the island to take photos of engines. They visit the Arlesdale Railway and take pictures of the small engines, but Bert is cross that they will not take pictures of him. As they are driving, they spray Bert with mud and Bert wants to take revenge on them. He devises a plan by giving one of them a soaking ride. Daisy is sad when her Christmas doesn't go exactly as planned. 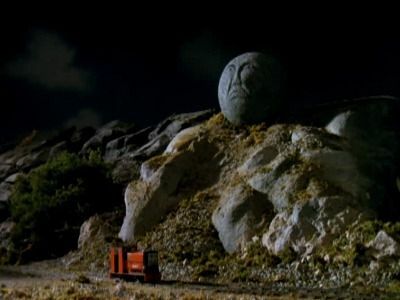 James is asked to take the Mayor and the Fat Controller to a party at Callan Castle, but has to do other jobs first and every job he does, he gets dirtier and dirtier. He finally has the chance for a washdown, but James is horrified to find a scratch in his paintwork. 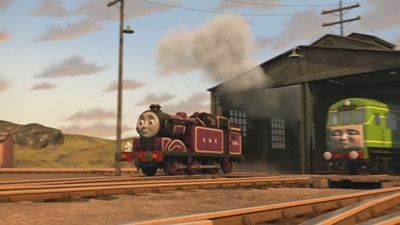 He goes to the Steamworks for the scratch to be painted, but leaves before the paint dries and is mortified to find leaves, twigs and dust stuck to his paintwork. Based on the story of the same name from Small Railway Engines. 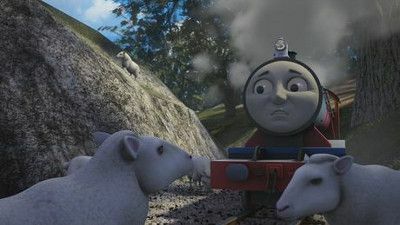 Mike is annoyed of always being stuck behind animals, Rex boasts to the small engines about how easy wool deliveries are. The Small Controller gives him the first wool train. 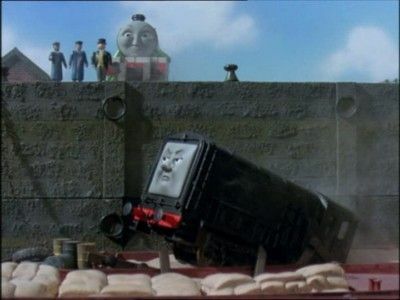 Willie the tractor driver accidentally drops his load of wool onto the tracks, which causes Rex to derail. 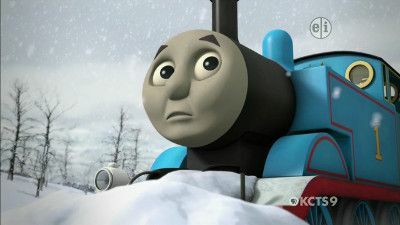 Thomas refuses to wear his snowplough and leaves it. 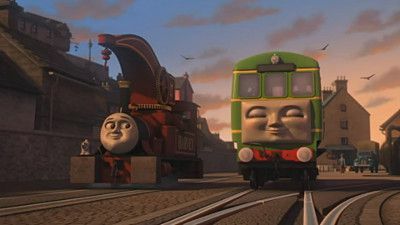 Diesel makes mischief between Daisy and Harvey by telling them both that the other is boasting of being unique. However, the two become friends while assisting each other on a job, and Diesel does not understand why. Millie is given extra work around the estate and gets agitated when Stephen and Glynn forget to clear up the garden waste. When Stephen also manages to hurt her feelings, and can't find her the next day to apologise, he thinks that she must have run away. Diesel is always bumping into people and laughing, but when he does it to Daisy, her springs need fixing. In the Dieselworks, thinking that she is asleep, Diesel explains why he did it - it's his way of trying to make friends! 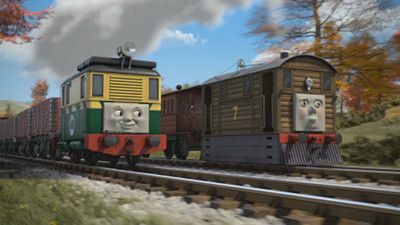 Philip sees Toby for the first time and is under the impression that Toby is a diesel boxcab. He tries to befriend him, but Toby finds him too overwhelming. Philip persists however, insisting they have a race to the quarry, believing that friends have to like all of the same things. 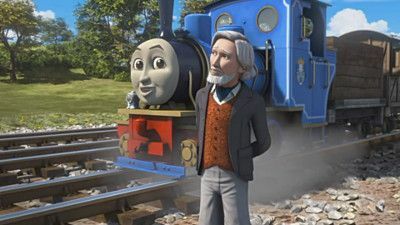 When Gordon is late pulling the express Henry is given the job instead and Gordon has to take goods for the rest of the day, causing much annoyance and turmoil for him. 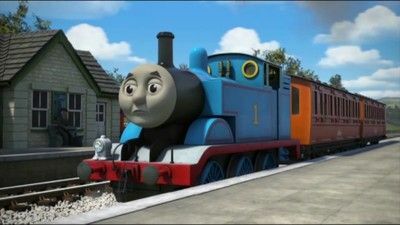 The Troublesome Trucks are causing lots of trouble for poor Thomas. Samson's new brake van Bradford arrives from the Mainland and offers to keep them in order. He does so with skill and all of the engines want to travel with him. 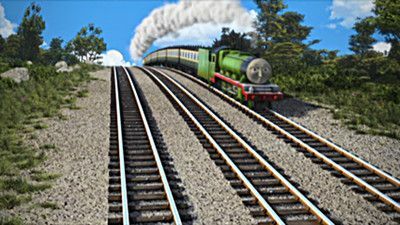 Things take a turn for the worse though as Bradford constantly urges the engines to strictly follow the rules, causing delays with their trains. 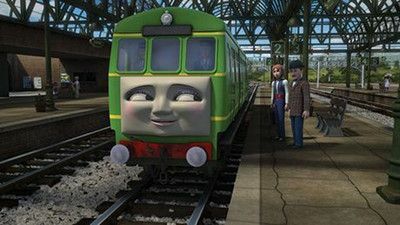 The Fat Controller gives Ryan and Daisy new jobs, but Daisy does not feel like taking on the extra work. To get out of it, she manipulates Ryan into taking care of her new responsibilities. Ryan agrees, but has so many jobs at once that it results in confusion and delay. The Fat Controller asks Daisy to take special passengers, making her so excited she boasts to other engines about it. Her stubbornness to impress them gets in the way and she does not allow any of her other passengers into her, only to find out her special passengers are puppet show managers and her other passengers were going to it. 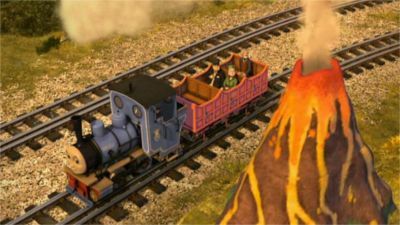 Connor boasts of being a fast engine, but one day, he breaks down on the Island of Sodor and goes to the Steamworks to be repaired. 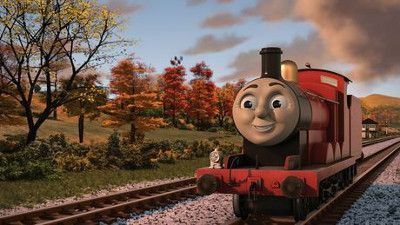 Connor starts to get worried it will happen again if he goes too fast and after that, Connor starts to become the slowest engine on the island. They even start to worry that Connor would never go fast again. Based on the story of the same name from Small Railway Engines. 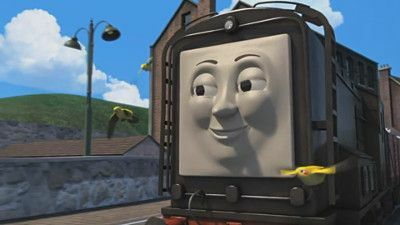 Duck's driver boils an egg in his whistle, which is now clogged and makes a funny noise. 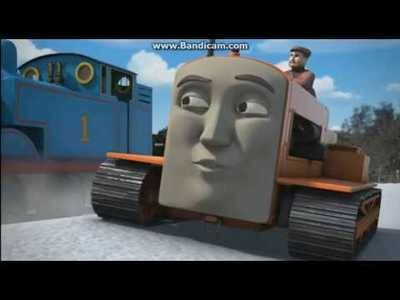 The engines tease Duck about his whistle, especially Mike who says engines without whistles are improper engines. Later, he pulls passengers on the line and encounters a cow. He blows his whistle so hard that it flies far away into a field. 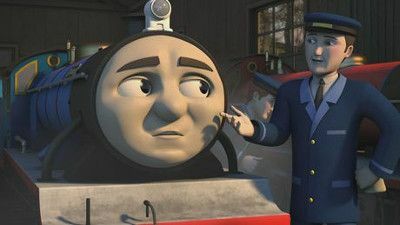 Mike insists they look for his lost whistle, but the passengers decide to whistle for him instead. After word of an airship resembling Hugo spreads, Hugo feels he should be able to fly just like it. 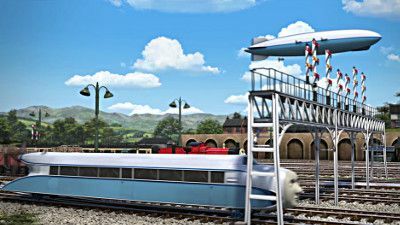 He gets some encouragement from Skiff and tries to take off into the sky like an airship on Gordon's Hill, like his non-rail aerial counterpart. Judy and Jerome are upset that they are never taken out any more as Rocky is now the official crane of the island. Ryan, who feels sorry for them, takes Judy and Jerome out for a change of scenery. 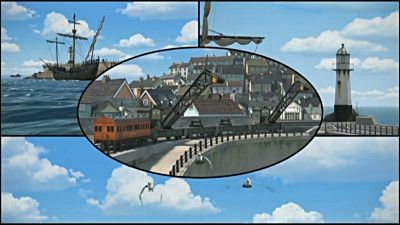 He takes them to Arlesburgh Harbour which they find boring after a while, leading to Duck and Oliver taking them around the island. Eventually, Daisy has an accident and Ryan has to find them. 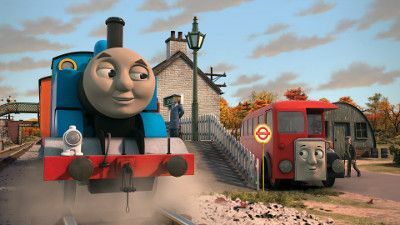 When Bertie breaks down while they are racing, Thomas takes on his passengers. One elderly man says that Bertie always drops him off between stops. Soon Thomas is getting requests for lots of other unscheduled stops, which makes him run late and upsets his own passengers and the Fat Controller. Terence takes a shortcut across a frozen lake while collecting Christmas trees. 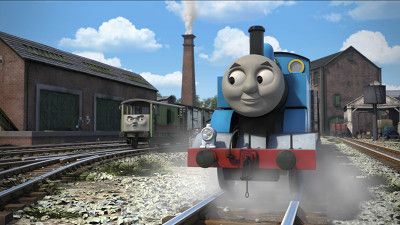 Thomas tells the engines the rest of his story about Duke and how a group of people set out to save him.